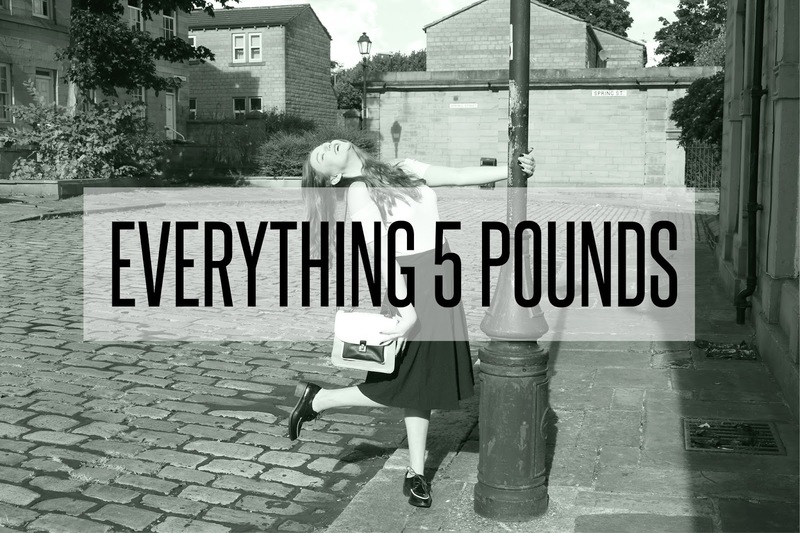 I’m gonna’ dive straight into this blog post by saying I LOVE EVERYTHING 5 POUNDS. Since they were kind enough to send me an outfit (OF MY CHOICE!!!!) 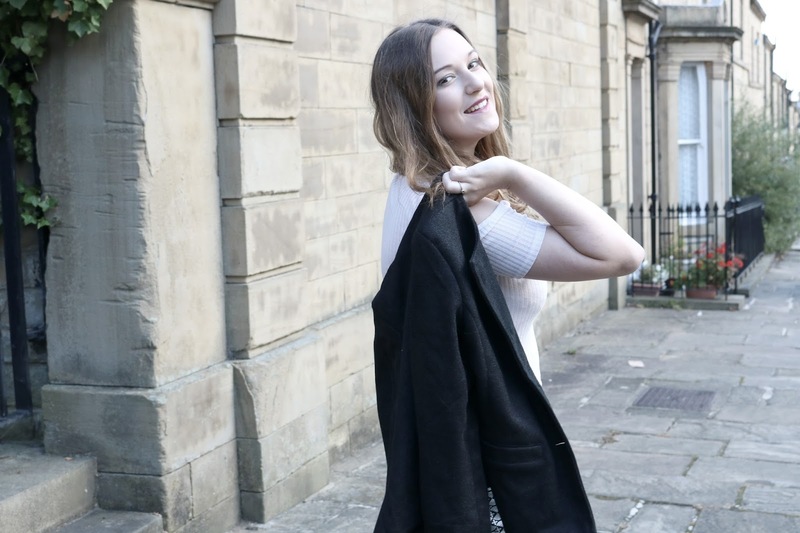 I’ve been blabbering on about this amazing online clothes shop to anyone and everyone. Everything5pounds.com has super friendly AND speedy customer service. After I emailed with my product choices, they arrived within a couple of days! I was slightly skeptical at first…Why is it so cheap?! Surely it can’t be good quality?? WHAT IF I HAVE TO WRITE A BAD REVIEW?! But I am more than happy with what I received. They pick the trendiest products from the high street and give it to us for £5 – I mean…can we get a CHEERS TO THAT?! I love brogues so much. They’re appropriate for uni, work, a trip to the shops…a fancy meal out. 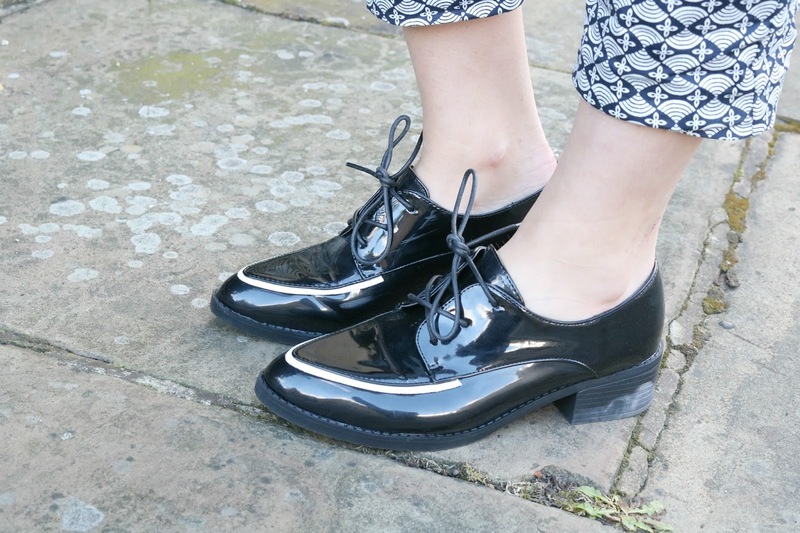 You name it and these brogues are ON IT. 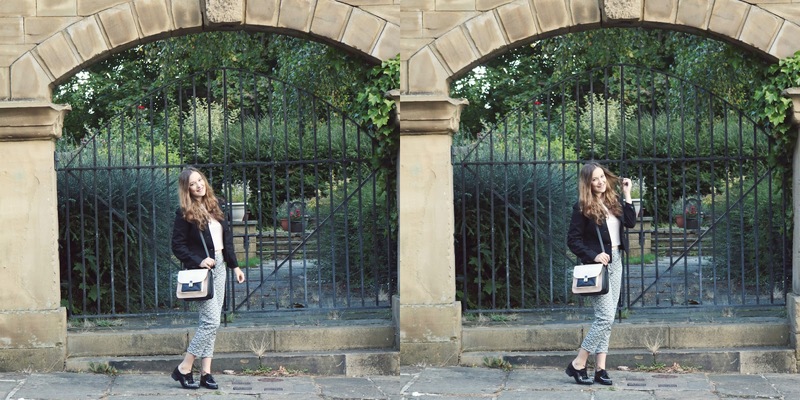 The first outfit I chose to go with my bag and shoes, was a pair of cropped patterned trousers and a smart black coat. 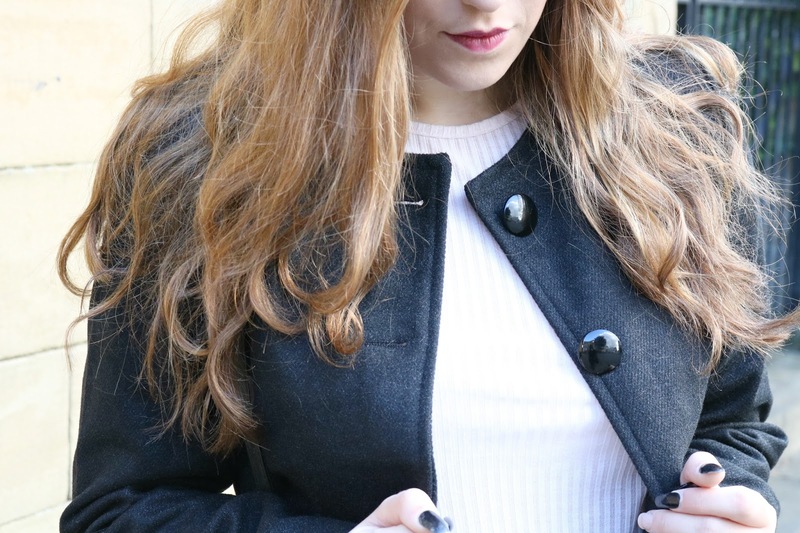 I teamed this up with my own baby pink top and wuh-lah- an affordable, stylish and Autumnal outfit that I just LOVE. I’m seriously obsessing over cropped trousers at the moment. They’re so suitable for my “I miss summer and it’s not quite winter yet” feels. As well as loving cropped trousers, I’m also loving long skirts! Again, another summer – to – winter transitional piece. I hope you liked my outfit choices! Let me know in the comments what you think!